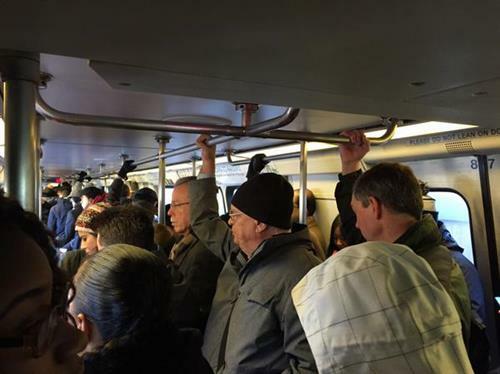 Metro riders dealt with delays Thursday morning, resulting from weather-related cracked rails and problems with rail cars. Green/Yellow Line: Repairs completed. No longer single tracking. Trains are on or close to schedule. Red Line: Trains are now on or close to schedule following earlier weather-related car equipment problems. Orange/Silver Line: No longer single tracking. Residual delays continue both directions due to an earlier track problem at E Falls Church. Orange/Silver Line: Repairs completed. No longer single tracking. Trains are on or close to schedule. My Ton Ton died waiting with me on the platform. Thanks #wmata. It'd be nice if #wmata's intercom system actually worked and the crowded platform could hear announcements. Refund. 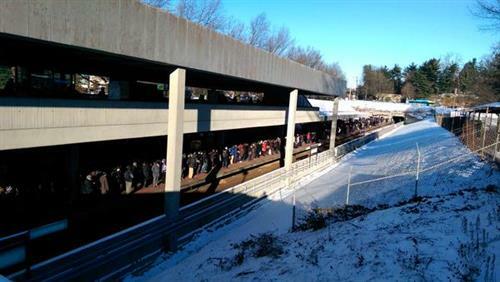 @wmata #wmata Left in the cold for an hour. If #wmata equipment keeps breaking, what was the point of rebuilding? Where did the money go? 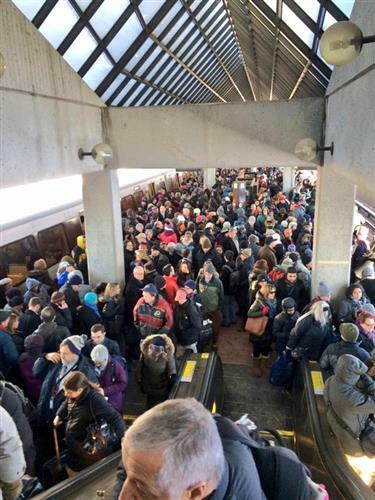 Yellow Line: Normal service has resumed at National Airport. Green/Yellow lines: Rail service SUSPENDED btwn Navy Yard/Pentagon City & Mt Vernon Sq. Seek alternate travel options. Orange/Silver/Blue lines: Trains are BYPASSING L'Enfant Plaza due to fire department activity. L'Enfant Plaza Station is closed. Red Line: Trains are single tracking btwn Shady Grove & Twinbrook due to scheduled track work. Expect delays through tonight's closing. Yellow Line: On Tuesday AM, additional Blue Line trains will REPLACE Yellow Line trains btwn Huntington & Largo (via Rosslyn) every 12 min. Orange Line: On Tuesday AM, Orange Line trains will run every 8 min, rather than every 6 min, btwn Vienna & New Carrollton. Green Line: On Tuesday PM, Green Line trains will run every 6 minutes, normal service, btwn Greenbelt & Branch Avenue. Blue Line: On Tuesday PM, Blue Line trains run every 12 min to Franconia-Springfield & Van Dorn St. Every 6 min at all other BL stations. Silver Line: On Tuesday PM, Silver Line trains will run every 12 minutes, rather than every 6 minutes, btwn Wiehle-Reston East & Largo. Orange Line: On Tuesday PM, Orange Line trains will run every 8 minutes, rather than every 6 minutes, btwn Vienna & New Carrollton. Yellow Line: On Tuesday PM, additional Blue Line trains will REPLACE Yellow Line trains btwn Huntington & Largo (via Rosslyn) every 12 min. Green Line: Delays possible btwn L'Enfant Plaza & Greenbelt as incident train is moved to rail yard. 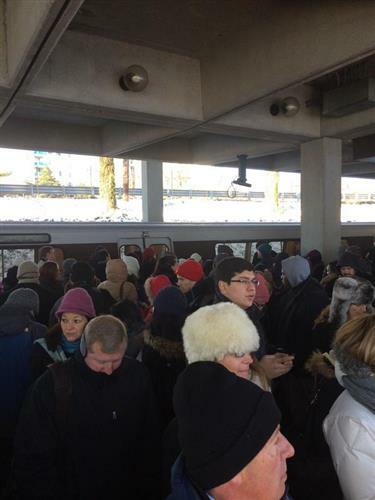 Silver Line: Trains have resumed normal weekday service following L'Enfant Plaza incident. Regular schedule tomorrow. 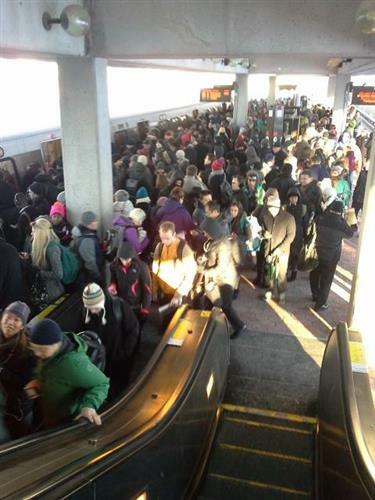 Orange Line: Trains have resumed normal weekday service following L'Enfant Plaza incident. Regular schedule tomorrow. Blue Line: Trains have resumed normal weekday service following L'Enfant Plaza incident. Regular schedule tomorrow. Yellow Line: Full service restored between Huntington & Fort Totten. Regular weekday schedule tomorrow. Blue Line:Trains are single tracking btwn Arlington Cem & Foggy Bottom due to scheduled track work. Expect delays through tonight's closing. Silver/Orange Line: Single tracking btwn Foggy Bottom & Clarendon due to scheduled track work. Expect delays through tonight's closing.